Last fall, the Brattleboro Museum and Art Center invited kids in kindergarten through sixth grade to create drawings and descriptions of imaginary creatures, with the promise that some of those creatures would be featured in the upcoming “Glasstastic” exhibit at the musem. “The response was incredible,” says BMAC museum educator Linda Whelihan. 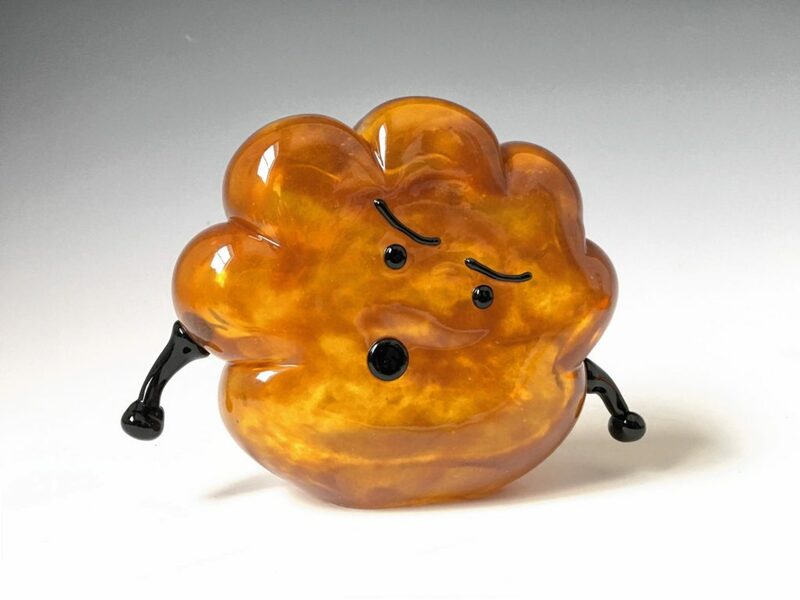 “We received over 1,000 submissions, an amazing assortment of colorful and quirky beasts.” The museum provided those submissions to a group of professional glass artists. Those artists selected 20 creatures to be transformed into glass sculptures. Those sculptures (like “The Abomible Dust Cloud” by Jen Violette pictured here, based on a drawing by Morgan Elizabeth Beenen), plus all 1,000 drawings, are now on view. Glasstastic: Through June 18. Brattleboro Museum and Art Center, 10 Vernon St., Brattleboro. (802) 257-0124, brattleboromuseum.org.